The 'V' mark that was once on Katta Kirifuda's forehead hides a mysterious force. However, the power was sealed off. Even though the impact of removing the seal does not do much, but Hamukatsu starts to talk! Plus more hamsters that are like Hamukatsu starts to appear! They were then told about a secret organization, the "Rare Killers", with the members being transfer students of the school! What is the mystery of the hamsters like Hamukatsu and who exactly are the Rare Killers? The final battle is about to start! It is the sequel of Versus Revolution, continuing the chain of events after the battle between the Invaders and Revolutionary. 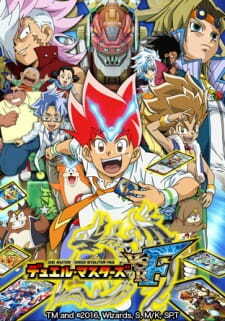 It is also the last season and conclusion of the Versus saga in the anime.